Wolfhome is an online community, and as with other communities, there are rules to help this be an enjoyable experience for everyone. Wolfhome is owned by wunderwood LLC (also referred to in this policy as "we", "us" or "the company"). By allowing you to use this site, wunderwood LLC has not given up any rights to the code, concepts, art work, web pages or other intellectual property. You may not copy, decode, or otherwise de-compile what we have created. You MAY NOT redistribute any pictures, sounds or other media without prior permission in writing from wunderwood LLC. On the WOLFHOME website we allow the use of several types of Artwork or other copyrightable intellectual property. These are typically poses, backgrounds or text. The main types of artwork are Custom, Pre-mades, Free, Mods, Objects and Backgrounds. Some of this Artwork and other creative material on WOLFHOME.com has been created and/or submitted by Users like you. The Artist/Owner retains the copyright on submitted artwork. If the User is not the same person as the Artist/Owner, the User must have permission from the Artist/Owner before submitting the material to the site. By uploading Artwork to WOLFHOME, you are affirming that you have a LEGAL RIGHT to do so and that you have an agreement from the Artist/Owner (the current owner of the copyright) that he or she has agreed with all of the terms and conditions described here. By submitting Artwork or copyrightable intellectual property to WOLFHOME.com, or by allowing others to do so, you hereby grant WUNDERWOOD LLC an unrestricted license to display these works on this website and other websites owned or operated by WUNDERWOOD LLC. This allows WOLFHOME to act as a service by hosting and enabling others to view your Artwork on the site or on the forums. WUNDERWOOD LLC retains the right to reproduce and redistribute your artwork on all parts of this website and on any other websites owned or operated by WUNDERWOOD LLC. It exercises this right on behalf of the Artist/Owner. WARNING: Your paid membership does not obligate WOLFHOME or WUNDERWOOD LLC to automatically accept submitted Artwork. All pieces of artistic material must go through normal channels of approval, via the Art Staff. This may include a waiting period, inquiries, and possible rejection. Our team on WOLFHOME works hard to keep unwanted use of artwork to a minimum. However, when material is submitted for public access, theft by others is possible. By submitting artwork or other intellectual material to WOLFHOME, you have agreed to not hold WOLFHOME accountable for theft that may have occurred on the site, or sites owned by WUNDERWOOD LLC. If you think theft has occurred, please notify a member of our team so that a swift resolution can occur. A permission list is also appreciated by the WOLFHOME ArtStaff Team. The Artist/Owner recognizes that unwanted distribution may occur when sharing artwork, or other creative materials. It is important to understand that once a member of WOLFHOME has been given permission to use a piece of artwork or other creative material, that permission cannot be revoked. However, if an Artist/Owner no longer wishes to allow their artwork to appear on WOLFHOME, any new poses, rooms or other creative material will be rejected. 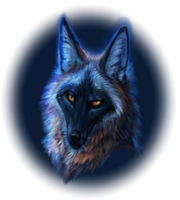 The Artist/Owner recognizes that it is important to keep WOLFHOME.com and its team notified if they no longer wish to allow their artwork to appear on WOLFHOME. "Commercial Purposes" - Using artistic or other intellectual property to financially benefit WOLFHOME or WUNDERWOOD LLC through advertising and or bringing in money. This may include the material to be used on CafePress, Zazzle.com, or other online stores. This does not include the direct resale of said material. WOLFHOME.com will not take a custom pose and resell it to another User. "User" - The person using WOLFHOME, or any of WUNDERWOOD LLC's services. The User does not have to own the intellectual property rights to the artwork they are using, but they MUST have permission from the Artist/Owner to submit the artwork to WOLFHOME. "Administration" or "Team" - The employees or volunteers that work for WOLFHOME.com and/or WUNDERWOOD LLC. "WOLFHOME" or "WOLFHOME.com" is the website owned by WUNDERWOOD LLC. "Freebies" are made available for use by Users of Wolfhome (and various other sites/chats) remain under the jurisdiction of the Artist. The Artist has the right to determine where and how they are used and alter their limitations at any time. If unsure about the allowed usage of an image, please contact the Artist or administration. "Freebies" are not automatically labeled as Public Domain (no one owns the rights). In order for Freebies to be considered Public Domain, it must be made clear to the Wolfhome Administration and Users that the material is Public Domain. Subscriptions and other services on the Wolfhome website are acquired by expending "Deltas". Deltas (see Wolfhome Deltas FAQ) are purchased from us using PayPal. All sales are final. You may choose to cancel your account on Wolfhome at any time. Any credit remaining in your account is NON-REFUNDABLE. Deltas purchased for for Wolfhome services is treated in a manner similar to that of purchases for credit at an arcade that uses tokens to operate their video games. If you wish, you may transfer your unused Wolfhome Deltas to another account before closing your account. Once an account has been closed, all remaining Deltas are permanently removed. Unspent Deltas cannot be transferred from a previously closed account. You may transfer credit from one Wolfhome.com account to another, but only if you have a valid e-mail address stored on Wolfhome.com. You must be at least 13 years old in order to make use of Wolfhome. While some other Chatlands sites allow you to have an account if you are younger than 13 (as long as you have permission from your parent or legal guardian) there are NO EXCEPTIONS to this rule on Wolfhome. Note: Like all other websites operating inside the United States, wunderwood LLC must comply with COPPA, the Children's Online Privacy Protection Act (more information). The Wolfhome website previously was open to children under the age of 13, if the parent agreed, by clicking on a link sent to their e-mail address, but we have changed that rule. We try to keep the public rooms at a PG-13 level. We do not have the ability to prevent someone from acting badly. If this causes concern, even parents of children older than 13 should not grant permission for their child to use this website. Wolfhome.com was created so you can chat with friends. Misuse includes harassing other users, using the messaging system to spam users, or to solicit illegal activities. We reserve the right to ban any user from the system for any reason. Note: This is not a comprehensive list but meant to serve as examples of unacceptable behavior. If you have a question, ASK an administrator. We reserve the right to change these terms and conditions from time to time. When we make any significant changes to these rules, we will attempt to alert Wolfhome members by way of a splash screen or with an update on the Wolfhome home page. However, we do not guarantee that this will happen or that you will see it. It is your responsibility to check from time to time for updates or changes made to this document. BY CONTINUING TO USE OUR SERVICES, YOU INDICATE THAT YOU AGREE TO THE MOST RECENT VERSION OF THESE RULES. NO WARRANTY. THE WOLFHOME WEBSITE INCLUDING THE CHAT SERVICE, THE FORUMS AND ALL OTHER MATERIAL IS PROVIDED "AS IS". WUNDERWOOD LLC DISCLAIMS ANY AND ALL WARRANTIES, EXPRESS OR IMPLIED, TO THE FULLEST EXTENT ALLOWED BY LAW. THE USE OF THIS WEBSITE, INCLUDING BUT NOT LIMITED TO THE CHAT SERVICES, FORUMS AND OTHER MATERIAL, IS AT THE SOLE RISK OF THE PARTICIPANTS INVOLVED. NEITHER WUNDERWOOD LLC, NOR ANY OTHER PERSON OR ENTITY ASSOCIATED WITH WUNDERWOOD LLC, ACCEPTS LIABILITY FOR ANY CLAIM BASED EITHER DIRECTLY OR INDIRECTLY ON THE USE OF THIS SITE. IF FOR ANY REASON ANY PORTION OF SUCH A DISCLAIMER DOES NOT APPLY TO YOU, DO NOT USE THIS SITE.